According to the Weather Forecast, it should be having Thunderstorm. However, the weather is super hot making me feel dizzy. Currently at my grandmother's house posting a blog post. Today is the last day of the month July. Nothing much to do, so decided to come back for dinner and have a small bonding session afterwards. 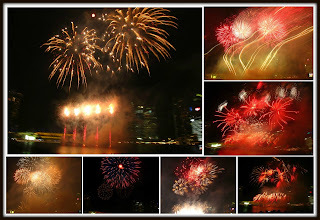 Then, we head over to City Hall, walked over to Marina Square, got our Mac dinner and to Esplanade area to watch the NDP Preview and fireworks. 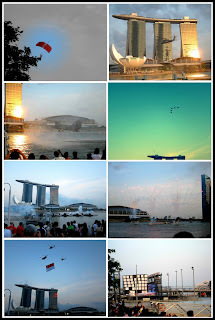 We planned to watch it at Marina Bay Sands, but was rather late and all the roads are blocked. We were considered really lucky to get a good view spot and managed to watch the water performances, fly pass of the air planes and fireworks. Tomorrow will be my exam for the elective that I have taken for the past 4 weeks. We were told that there will be 11 exam questions and we are supposed to choose 4 to answer. I am actually not really prepared for this exam. I have been reading through the materials that the lecturer had provided us. But, they are rather wordy till I lost track sometimes. I got to do research on how the different types of media "tells" the public with news. How breaking news are delivered to the public in the shortest time and where to break it will create a stir and have interactions from the public. The lecturer told us that we don't really need to know too much facts, what we need to do is really to argue our case with real experience and maybe use our project assignment to relate how a newsroom will work. There are so many things to know and nothing much gets into my small brain as time goes on. Motivation is lost. In a 2-hours paper, I got to write so many and still got to focus on my deliverable and make sure they flows well. Will I be able to do it? Can I really pass this elective and carry on with my other academic modules? Today is a fun and happy day. In the morning, I was revising my school work with my uni friends at McDonald's in Serangoon Nex. Packed a nuggets meal with twister fries and head over to Eric's place. We watched X-Men: The First Class movie while having the nugget meal. We had good laughs together. 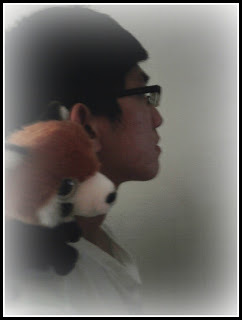 We spent time together. FINALLY~ We had our chance to have our dinner at AMK Hub's Ichiban Sushi. There will always be a long queue when we want to have dinner there. We were quite early and managed to get a place and enjoy our dinner. 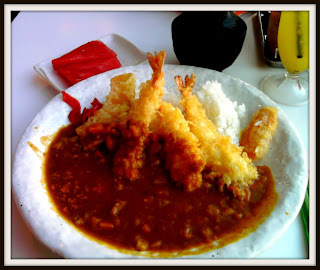 I ordered Tempura Curry with a special drink by Ichiban, while Eric had his Unagi Rice bowl with Coke. The fried salmon skins are nice too. 20 July 2011. Fine day. Today is the last lecture before the exam. I met up with Serena after school to catch the final episode of the Harry Potter movie. Overall, it is quite nice and there are some scenes that are really funny. All in the theatre went laughing. 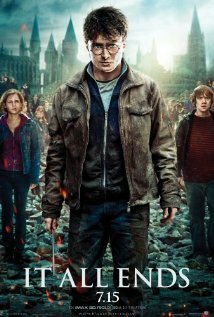 Harry Potter and the Deathly Hallows – Part 2 is the final adventure in the Harry Potter film series. The much-anticipated motion picture event is the second of two full-length parts. 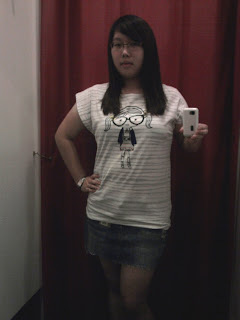 After the movie, we went to Cotton On to look for some clothes. I asked Serena's view on the matched clothes I tried yesterday. 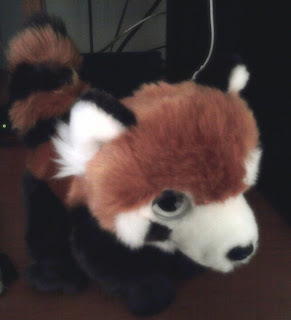 In the end, I bought something else instead of the matched set. Perhaps I will go shop for better skirts from somewhere else. In total, I bought 2 tops and a play suit. I definitely had a great day today. It's the second last lecture for the Special Semester 2 studies. Time really flies super fast. Next Wednesday will be the exam day. All I pray now is to let me pass that elective module and move on with my other important cores. 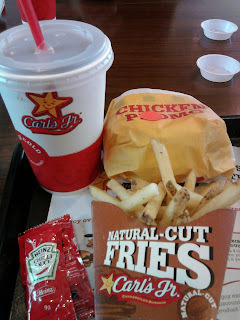 First time eating Carl's Junior. What I can say is that.. The portion is really big. I thought I couldn't finish them at first. But, to my surprise, I managed to finish my meal. Guess that I was really hungry since I didn't eat my breakfast before my lecture. I didn't know that the drink can be refilled as many times as you want. Haha. Anyway, I don't really fancy Carl's Junior. So, perhaps I may not eat it again? Not sure too..
After that, I went back to AMK Hub and shopped at Cotton On. Saw this skirt and top which match perfectly. Took my size and went into the fitting room. Tried them on and took a photo of the entire look. Now the question is... Should I buy or should I not buy? 17 July 2011. Hot day. Yippee~ Finally the MacRitchie walk is possible. It has been said a few times but always postponed due to reasons like weather. Walking in MacRitchie is really a good form of exercise, especially with a partner. We went there at 3 plus in the afternoon and there are already quite a lot people jogging, hiking and sitting around. The walkways are really full of pebbles and rocks, which makes it a challenge for me as I tends to lose my balance easily. But, with Eric around, I am in good hands. We saw interesting animals and creatures like monkeys, komodo dragon, etc. We missed the time to go to the Tree Top Walk. On our way back to MacRitchie from the forest trails, we came by a split trail where we made the wrong choice. Instead of walking back to our starting point, we came out of the forest trail and reached one of the carparks along Upper Thomson Road. So, from there, we decided to head for our dinner since we both felt hungry. After 3 hours in the forest, we walked all the way to Thomson Plaza to have our dinner at Swensen's. Will a Hike at MacRitchie be Possible? 17 July 2011. Sunny and Windy. 15 July 2011. Gloomy and Rainy. A rainy and gloomy day made me stayed at home. I went to get groceries with mummy in the morning at AMK Hub's NTUC and also bought a cake for daddy. Not a big celebration but just a simple dinner at home with daddy and mummy. Brother went for his Final Theory Test and passed. Congrats to him!! Yesterday, I watched Transformers 3 with Eric at Shaw Lido. The movie is quite nice with the fighting, shooting and chasing scenes. However, the movie is rather lengthy and the theatre we are in can be considered the smaller ones. After movie, we went to have Ajisen Ramen for dinner and have a little walk around the bookstore and ion. Sitting down and have a little fun chat together is really a good practice to have so that we can know each other better and improve ourselves more each time. I really love to chat with Eric. The weather these few days really make me feel uncomfortable. First it's hot, then it's too windy and cold. Until my lips are cracking, so I got myself this cherry lip balm by Maybelline. 13 July 2011. Hot day. Presentation went on smoothly. The website was able to be in place when IE was used. Until the time before our presentation, I then realized that it was just a compatibility issue. Lucky that I didn't spend the whole night for solving such an issue. Tomorrow will be the test whereby the Internet group, one of them being our group, got to work together fast. We will be receiving breaking news in the midst of lecture from other groups, and in the shortest possible time (eg. 10 minutes), we need to get the news article out and online. After my presentation, met up with Eric for lunch at Yishun Northpoint. He came down all the way just to accompany me for lunch. So nice of him~ What's more interesting was that.. I fed him with one spoonful of "cube-sized" prawns from my soup pasta (Seafood Zuppa), and this made him a little hungry after a little of walking. Temptation of cheese fries from KFC made him a little more hungrier. While deciding whether to get his cheese fries, I kept on repeating "Cheese fries~~ Cheese fries~~". This made him even wanting to get it. Finally, he decided to get it. We took a bus back to Ang Mo Kio KFC, get his cheese fries and went home after that. Guess that's all about today..
12 July 2011. Windy Night. This is the second post of the day. So stress out already. Everything looks so fine to me and suddenly bad news arrived in front of my laptop screen. "Madeleine, how come the picture on the main page so slim? Got bug is it?" Oh my god! What happen? Why does this got to happen at this timing when I am already so so tired and need my sleep so much? IE really gives people lots of problems. What appears on Google Chrome and Mozilla Firefox doesn't looks the same as of on IE. IE screwed my webpage up. 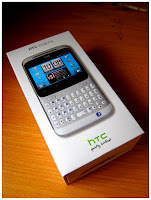 The whole design is no longer the same and it really is ugly. Just reached home not long ago after my News Media lecture. Today is the start of the submission of the group assignments being Newspaper (Tuesday), Internet (Wednesday), TV & Radio (Thursday). Our group is called the Internet group where we get articles from other groups and placed them on our designed website which is done by me. Each member in the group is given different role like designer, editors, photographer, reporter, etc.. Tomorrow will be the day of our submission. Presentation of our website needs to be done. Yet till now at this moment, I am still struggling with the re-doing of the website. Edits need to be done so promptly and quickly. According to the lecturer, for the internet group, there will be some sudden breaking news in the midst of the presentation. This is to test how fast our group can react to such incident which happens to the daily newsroom. I need to really plan properly how I can make my posting of these sudden articles easily.. Overall, I think I learnt how people in the newsroom works with the tight schedule, making sure that news are delivered on time and promptly. 11 July 2011. Sunny. Breezy. 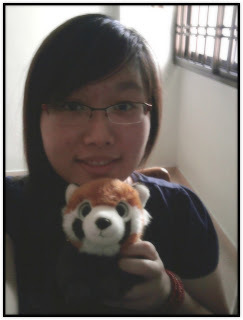 A day with my boyfriend, Eric, is what I long for since his trip to BKK. And... Today is it..
We spent the day together playing Xbox games (Plants vs. Zombies), chat about his trip experience and had a simple dinner at Ang Mo Kio. This is the second post of the day..
"I'm waiting to board the plane. Taking off at 8pm (BKK time). Will contact u again when i reach sg. :D"
Another 5 more hours he will be back!!! YAY!!! I really want to go to the airport to wait for him.. But mummy says "No. Too late." At this age, mummy is still treating me like a little girl. I know she is concern about my safety. What can I do? I really wish to be there to wait for someone I love... Now, I can only wait for his sms, telling me he is boarding the plane and on his way back to Singapore. Just received his sms from BKK.. 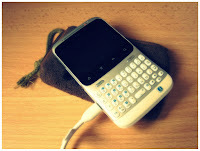 I will feel secured every time I received his sms, especially when he is far from me now. PLEASE COME BACK SAFELY~~ WAITING FOR YOU~~ I'm WAITING FOR YOU!! After a year plus, I'm finally back to posting. A lot had happened throughout the year ever since I stopped posting.. Recently, I have just completed my 22-weeks internship in a Bank. I not only gain knowledge of how processes are being carried out in the banking industry, but also widen my social circle during this internship. The best present i get from this internship is none other than the important person in my life.. He is the most popular guy among all other male interns.. Humorous, friendly, cheerful, serious with his work are some of his properties... After the lion dance practice session, he said "Bye" to me. That's the first contact between us which starts this journey sailing.. He told me he started to notice me during the lion dance activity when I volunteered to be the drummer.. To him, I am different from the other female interns... From then, he made his initiative to talk to me and we get to know each other better.. Every activity we participated together piled up as our memories.. I still remember when we got to practice for our bowling competition.. Both of us, together with our friends, we went bowling together.. And, I broke my thumb nail while bowling.. Because he didn't know where I went, he followed and searched for me.. Passed me a plaster and was worried about me.. This was when I started to have feelings for him slowly... and before I knew it.. I have fallen for someone simple and caring like him..